Installing, alarming, disarming, paying monthly fees, and dealing with false alarms are all things that make homeowners wonder if security systems are worthwhile. 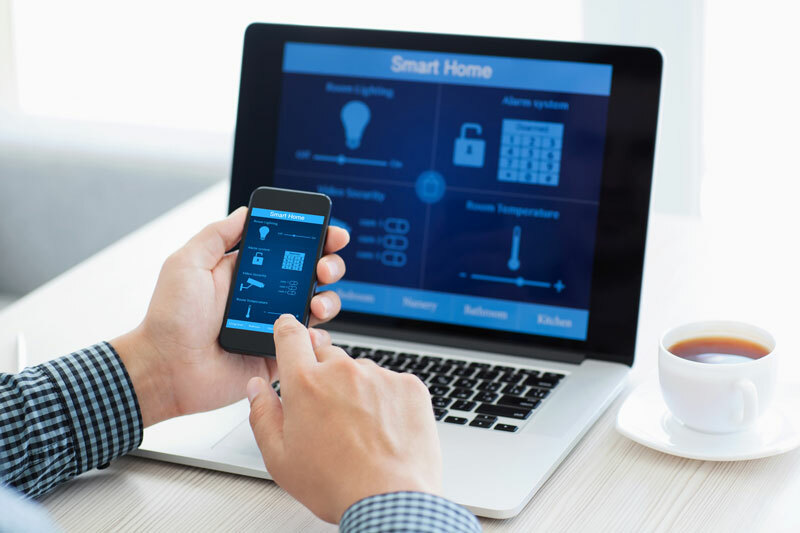 There are a lot of elements to think about when it comes to home security systems, but the rise of technology means that smart home security is proving to be beneficial to many homeowners. Smart technology allows you to save time and money when looking to protect your property. Here’s why you should consider a smart home security system. A smart security system is practical. From helping protect and alert you of a break-in, gas leak, and more, to allowing you the convenience of knowing your loved ones made it home, a smart home security system makes it easier to relax and stress less. A number of gadgets can be used to improve your home security, such as deadbolts, doorbell video cameras, window and door sensors, and even smart thermostats. Not only can smart home security systems record what’s going on around your home, but this data can be sent directly to your smartphone to give you peace of mind. Whether you’re at work, on the road, or abroad, you can rest easy knowing that you know what’s going on around your home in real-time. Improved security means that the chance of a break-in or incident is lower than if you did not have the smart security system. As a result, your insurer may recognize that you’re taking extra precautionary measures to secure your home and they may consider you a lower risk for break-ins. Take a moment to consider if you could benefit from a smart home security system. Visit the experts in the industry at Abbate Insurance to secure the right homeowners insurance policy for your property. Contact us in New Haven, Connecticut to get started today.